Having completed her master's degree at Prince's School of Traditional Arts, founded by Prince Charles in 2005, Zeynep Ikbal designed a Turkish cultural center in London, and has become one of the three students awarded by Prince Charles. Ikbal, who was supported by Albukhary Foundation for her master's degree, was awarded the Kairos Prize. 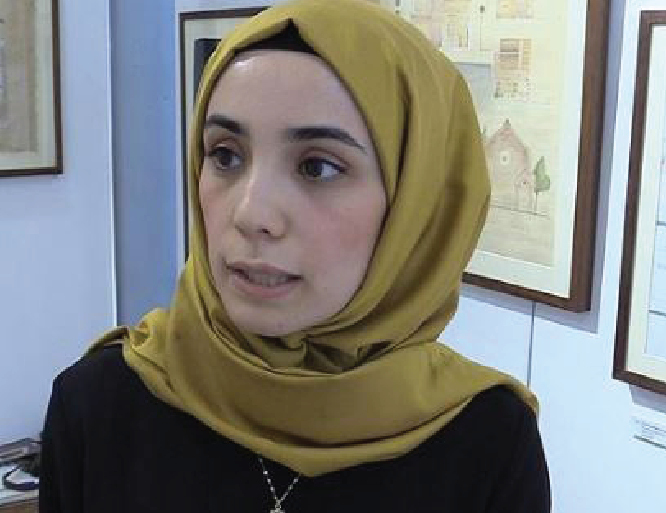 Speaking to Anadolu Agency, Ikbal said she studied architecture and graduated from the Vienna University of Technology in 2012. Then for the following three years, she studied in the area of Ottoman architecture in Istanbul. Ikbal, who is specialized in the implementation of traditional arts to architecture, said: “In this project, I focused on Islamic architecture and traditional arts, especially the Turkish architecture. She said she did not want a similar building in Istanbul installed in another country so she designed a Turkish cultural center for England’s capital. “If this is a cultural center in London, I had to understand the culture, city codes and art codes of here [London]. I worked on it,” she added. She said Prince Charles showed special interest in Iznik tiles, and liked her detailed drawings, which used traditional arts in modern architecture. Ikbal also said she desires her project, designed for Dalston district with high Turkish population, to be realized, and said only obstacle for it was lack of financial resources.